On 28th March 2017, we welcomed a wonderful piece of news: Wentworth Woodhouse, the Georgian palace near Rotherham in South Yorkshire, has been successfully purchased by The Wentworth Woodhouse Preservation Trust and saved for the nation. World Monuments Fund has played its part, supporting the campaign by Save Britain’s Heritage (SAVE), who initiated the Trust, and by placing it on our World Monuments Watch in 2016. But, this has been a long and difficult journey, epitomised by a photo that perhaps captures the lowest moment in Wentworth Woodhouse’s extraordinary history. 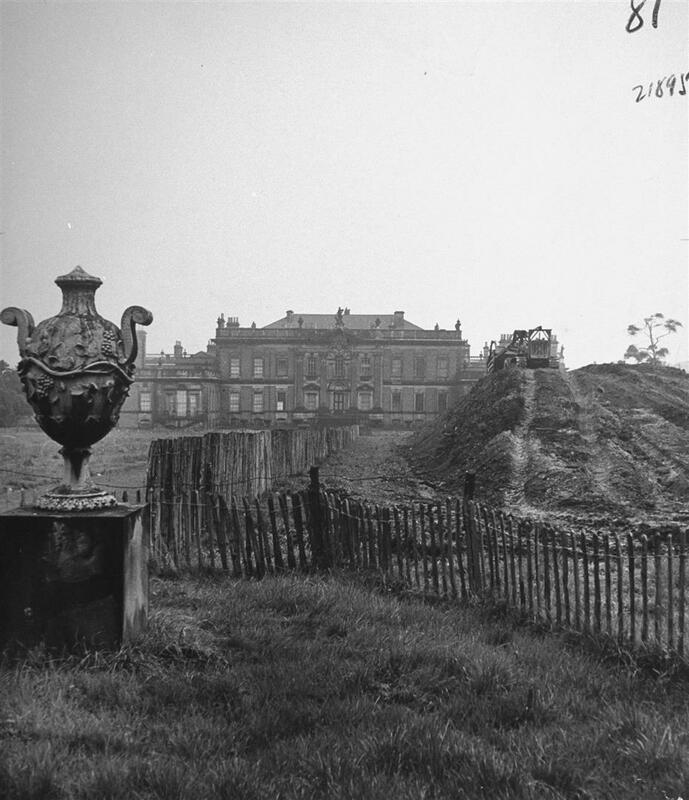 Taken in the 1940s, it shows a bulldozer on top of a spoilheap with open cast coal mining extending almost to the front of the once great mansion. This was a deliberate act by a post-war Socialist government determined to break-up what it saw as the privileged elite. Worse still for the fabric of the house, the UK coal industry was nationalised in 1947, removing in a single act a traditional source of income for the family which literally underpinned the upkeep of the estate and the building’s glorious interiors. Constructed largely in the early 18th century, Wentworth Woodhouse is of outstanding importance because of its enormous scale and quality. Effectively double fronted, the house has a Baroque west front and a Palladian east front, the latter twice the length of Buckingham Palace. Inside this was a house built to impress and entertain – and entertain it did with over 1,000 guests invited to one party in 1731. 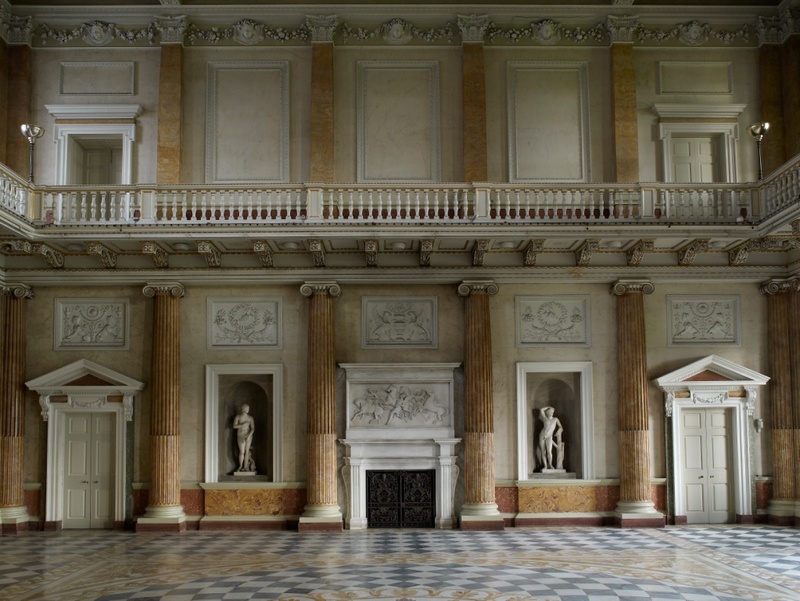 The state rooms at Wentworth are sumptuously decorated, rivalling Windsor Castle, Blenheim, Castle Howard and Stowe House in Buckinghamshire, another World Monuments Fund supported project. It contains over 300 rooms, the most important being a double-height Marble Saloon, pillared lower hall, Painted Drawing Room, Library and the Whistlejacket Room, once the display space for George Stubbs’s instantly recognisable painting, now housed in London’s National Gallery. Another photo, taken during a recent visit by WMFB, tells us something of the enormous scale of the house: a servant’s bell board. On it over 80 bells are listed to summon servants to various parts of the house, or village. 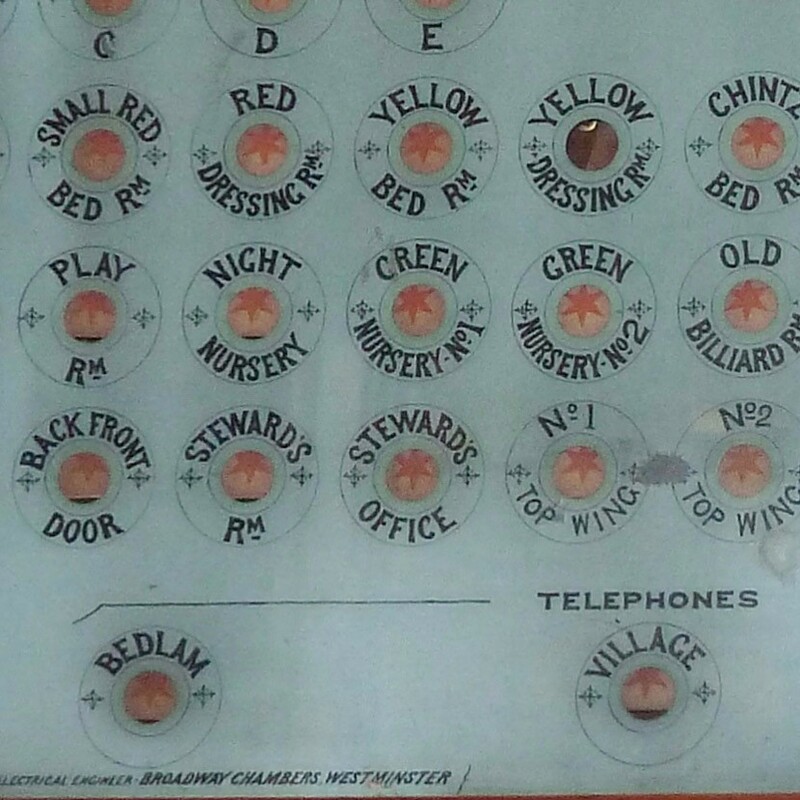 Alongside the main state rooms, it includes bells for White, Red, Crimson, Blue, Green, Yellow and Striped Rooms, a Dentist Room and Cartoon Bedchamber, and intriguingly, ‘Pet Hole’ and ‘Bedlam’. The flamboyance, extravagance and drama of Wentworth Woodhouse is well matched by its owners. From Marquesses of Rockingham, including a Prime Minister, through rumours of changelings and of lunacy, philandering earls, illicit love, war heroism and a tragic connection to the Kennedy’s, it has a history that reads like fiction. The story is beautifully captured in Catherine Bailey’s compelling book, ‘Black Diamonds’ (2007). Now, we come full circle. 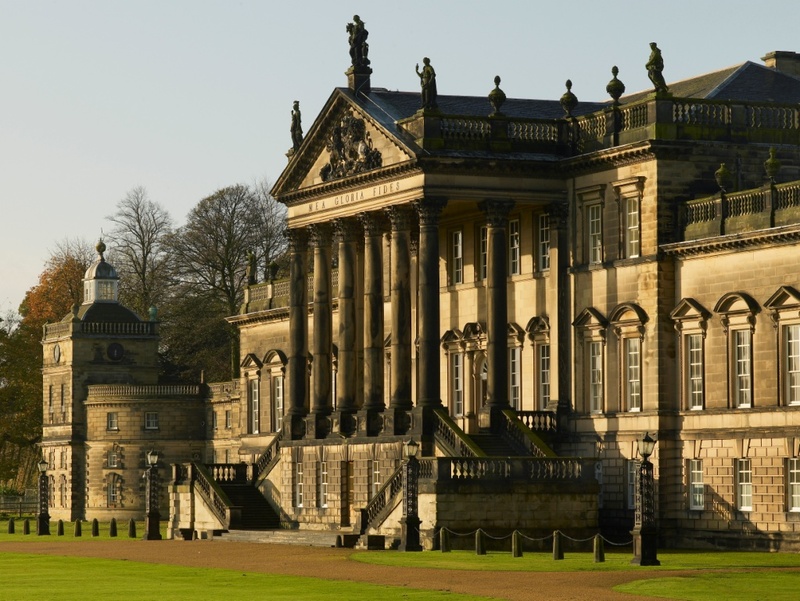 SAVE and the Wentworth Woodhouse Preservation Trust raised the £7m required to purchase the house, and the UK Chancellor announced a grant of £7.6m for urgent repairs in the 2016 Autumn budget. There’s a lot to be done – the house needs £42m in repairs over the next two decades – but the crucial purchase and partnerships are in place. WMF is proud to be connected to the initiative and congratulate the Trust and SAVE on this major step on the path to full restoration.